I make videos. I like to snowboard and travel. Here you can see what I get up to. 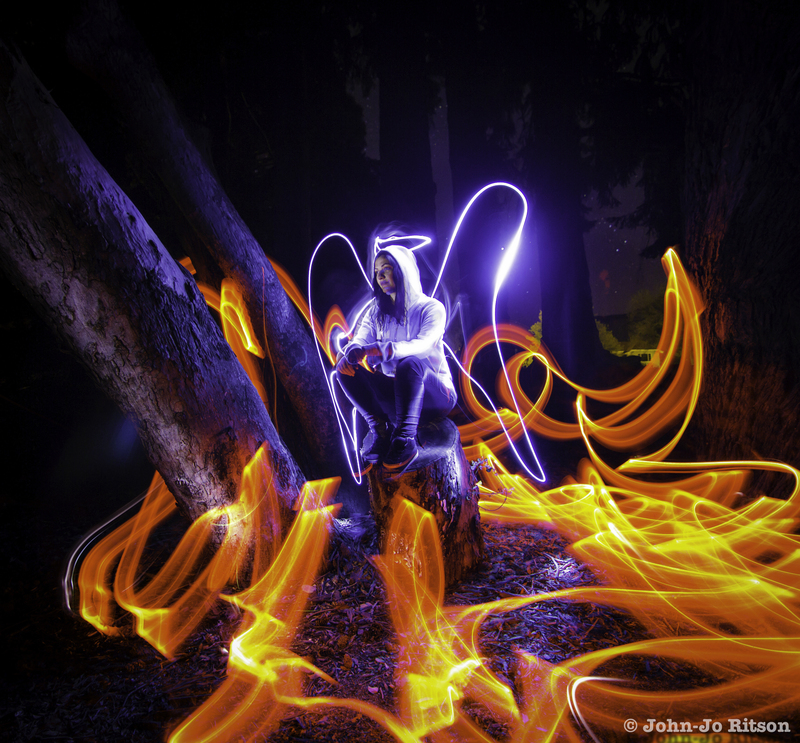 “Between Heaven and Hell…” A light painting- Isolated Angel. I love light painting. I am not sure what aspect of it I am most drawn to, but the process if full of little moments of suspence and anticipation. Followed be either “close but no cigar” type feelings or, gobsmacked wowness. This photo below made me feel pretty happy. 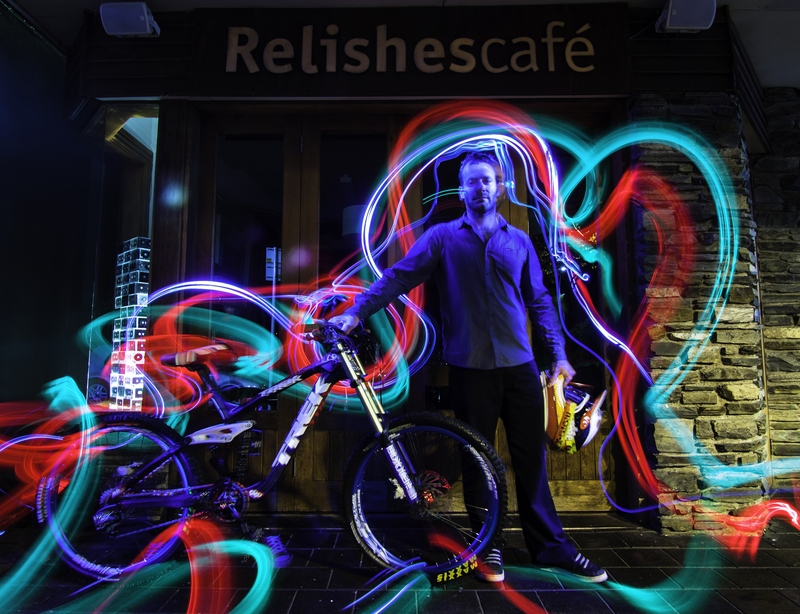 Light Painting in Wanaka NZ. 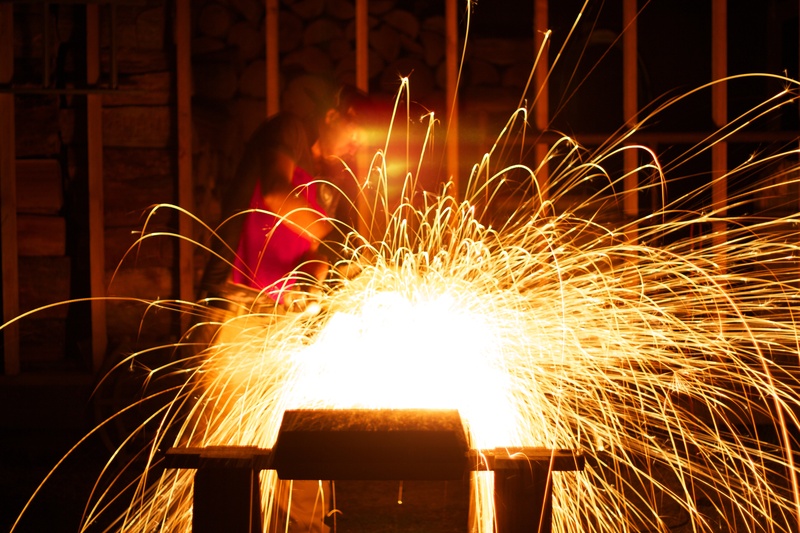 Light painting is the term used when a long exposure photograph is taken in a dark environment, while a light source (such as a torch, glowstick, sparkler etc) is used to highlight or “paint” certain elements in the frame. The exposure can be anywhere around 3 seconds to 90 seconds. 30 seconds is a common duration, depending on other factors, ISO, F/Stop, light polution and strength of your chosen “brush”. Often for lager pieces several photographs may be layered on top of one another to produce a finished single image. This can allow for shorter exposures. Longer exposures tend to have to close of the aperture to prevent the background blowing out or becoming noisy. While creating these images it can really feel like painting, as the light falls onto the subject some light is reflected back to the camera. The more light you shine onto the subject, or part of the subject the brighter it will appear in the shot. The wonderful thing about this kind of photography is that movement of bright light sources such as a torch can really be captured, while non light sources that are moving, such as the artist will not bounce enough light back to the camera to be retained in the image. So, you can move through the frame, painting along the way leaving only trails of glowing light over the top of a more traditional looking photo. Last night was another restless night for me. It seems to be a common occurrence! Still, to make the most of my night time I took it upon myself to do the light painting I have been planning. A few local spots have caught my attention and I really wanted to get stuck in once the full moon had gone. Last night though, it was cloudy, and a little rainy, but at 3:30 am i went for it. Came home about 6am…. got a wet arse from a incident on the Dino Slide- Slippy when wet! Was worth the next 5 shots with wet pants though. Quite happy with it. Hope you like. Shot on the Canon 50D for a change. SHOWREEL: John-Jo Ritson / RideClass Productions: “From then till now” from John-Jo Ritson on Vimeo. I recently realized I did not have a showreel. Seems like something I should have done long ago! However it is now done. Was fun pulling together all my favorite clips. There was about 10 mins of stuff I wanted to use. This is how it came out. Hoping to be back to work as per usual soon. Ankle surgery has been healing up well. Lots of physio and the OK for skiing 8 days away. Night shooting after ankle surgery. Peroneal retinaculum, brevis, subluxation. Resting up at my folks place after ankle surgery has been tough. The fact that I have somewhere to come and recover is a blessing. Can only imagine what it must be like trying to get through something like this without the help and support of family. Non weight baring on my left leg for 7 weeks means crutches. Crutches are not fun, exciting or very functional. In fact they are a real pain to use. I have no idea why they do not come with nice padding on the handles? I have tapped some on as the palms of my hands were in agony. One of my biggest struggles has been not being able to film or take photos. I can do some, but carrying gear is hard work. Setting up while balancing on one foot with 2 crutches swinging around on your arms is harder. I have to laugh when the crutches jab into the ground and then push my arm off its intended course. I feel like a puppet who’s master really liked to mess with them up! Still, big deep breaths, calm mind and a lot of planning can get me some of the way there. Here is a photo I took last night. I really wanted to do a time-lapse but the battery died on my intervolometer. New battery today means time-laspe is running right now! Love setting the time-lapse of and hurrying out of shot. Will see what we have in the morning. The surgery I had was to fix a subluxing peroneal tendon. The retinaculum had been ripped after a fall. Once they got in there they realized the peroneal brevis was also partially torn and ended up tightening some ligaments in font of the ankle bone also. 7 week in a cast, 4 in a moon boot, physio, no running or sport for 5 months. Fun times. Aurora Australis AKA Southern Lights. Wanaka NZ. Well, seen them up north, and now I’ve seen them down south. Northern and southern lights. Southern Lights AKA Aroura Australis from John-Jo Ritson on Vimeo. First Timelaspe Compilation Piece: Arrow Valley Farm – Time at The Ranch. Timelapse photography can be so rewarding and so frustrating. I have been using my Canon EOS 7D for nearly 12 months now, and have shot quite a few timelapses with it. Once the basics are understood, it is finding good subject matter that becomes the challenge. 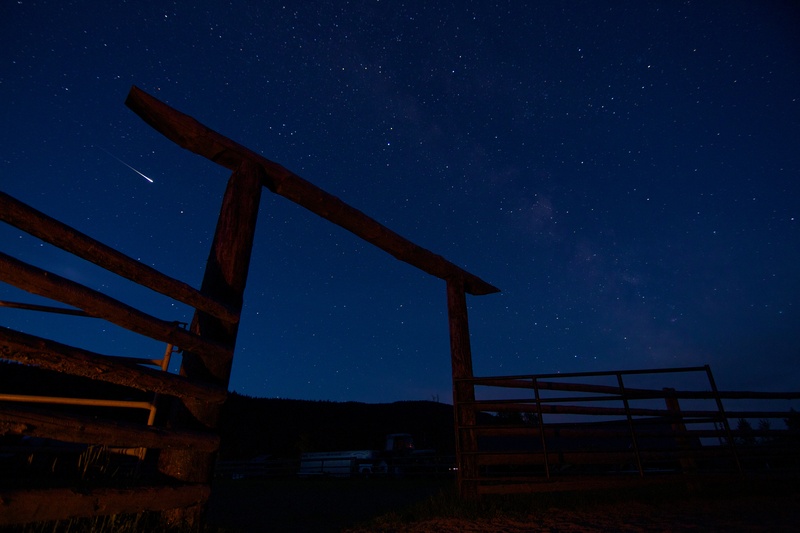 While at The Watshan Catte Co. Ranch I was in awe of the amount of stars that were visible each night. Miles from anywhere the amount of light pollution was, well pretty much zero! So, I decided it was time to try and bring together as many Timelaspes of the night sky as possible and see if I could create something that would do it justice. I had a few unsuccessful nights when condensation on the lens of my Tokina 11-16mm F/2.8 left me with only a few seconds of useable final product. I trashed these small timelaspes and asked for help from Timelaspe veteran Preston Kanak. He passed on a tip that allowed me to shoot right through the night without any issues of condensation / frost on the lens. It was so simple, yet worked so well. That night I set about stickytaping 4 handwarmers to the lens hood of the Tokina. I had already set the Canon up for its night shift and checked the handwarmers were not in frame, I hit the start button. I repeated this process any night when the sky was clear. I wanted to use some light source to add some foreground detail and ended up using a regular candle. I had taken a large Bombay sapphire gin bottle, used and *angle grinder and a lot of safety gear to cut the top off, and placed the tapered candle inside. This was to keep it from going out, but also to make sure I did not cause a massive fire! *I do not recommend using naked flames, or cutting glass as it can cause serious injury!!! Below is the finished piece. I recommend full screen and HD. I welcome feedback / constructive criticism. Interval: 1-3 seconds between the 20 to 25 second exposures. Filter: a no name brand UVF purely to protect the lens. About the author: John-Jo has been working in Canada for the last 6 months and is now in New Zealand waiting for the Snow season to start. He will be making films in Wanaka for Treble Cone and The Rookie Academy. 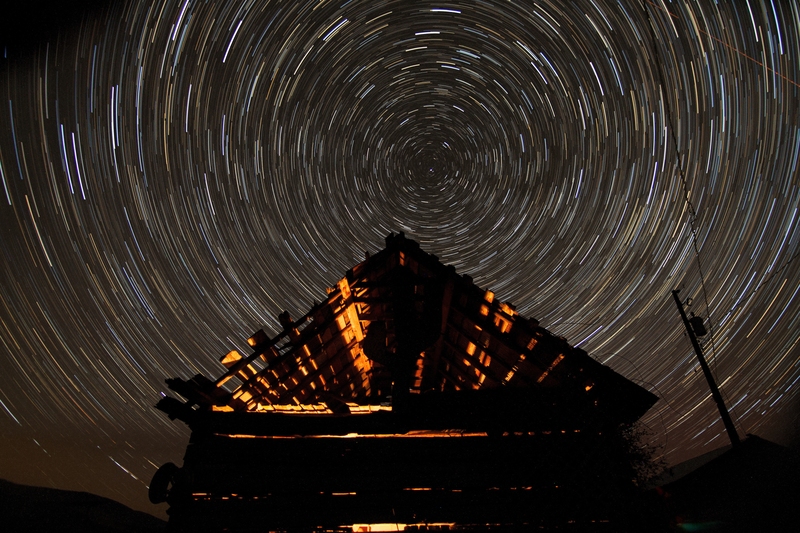 Still from Astro Time Lapse in B.C. Timelapse photography can be quite tricky. Last night I set off an astro timelapse earlier than I have been doing. About 10:45 as opposed to 1am. I have had issues with condensation on the lens and then the sunrise. I would love to set it to Av mode (aperture priority mode) and get the sunrise as part of the TL, but I know the settings I want for the astro part…and have not worked out how to get the correct interval between shots, and then factor in using Av with faster shutter speeds….anyway it is on the todo list. However I have just started importing the images and I’m pretty excited. I have started using candles to light up the fore ground and add some interest, so the dying candle and the start of the dawn have hopefully captured quite a bit of light change. Here are some unedited images. I do adjust some setting in Camera RAW but the more TL’s I’m doing I seem to have to edit less, which is a good sign! Have been wanting to create some start trail images for ages. Found a piece of software called Star Stax and it is pretty easy to use. Here are is my first image. It is 90 images from a timelaspe I should while out here in BC. Each photo was a 20 sec exposure. That equals 30 mins of exposure. Will be adding simething like this into the TL’s at some point. Currently pulling together TL’s and footage for a promo video which is taking up all my free time. Hoping to get it done this next week. 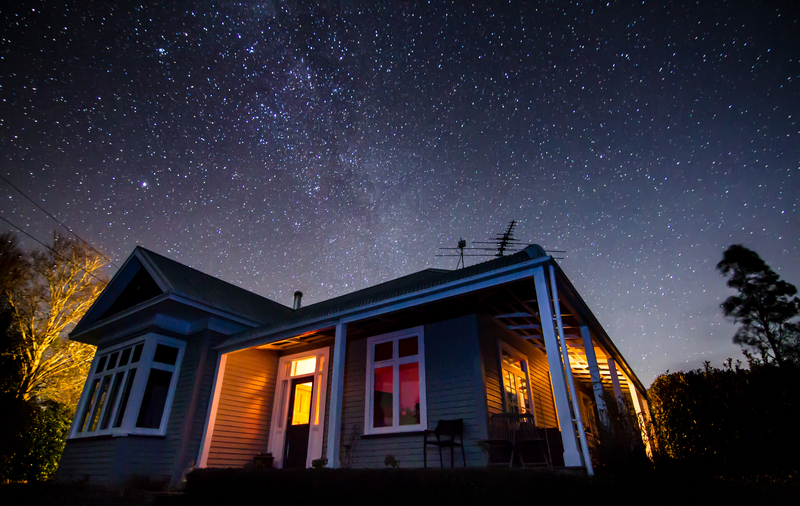 Creating a Timelapse of the Stars is addictive. I’m hooked. I can not put my finger on why exactly it seems to draw me in, but it does. It could be that because there are so many factors which have to come together for an Astrolapse, that the heavens truly have to align for it to be successful. Scuse the pun- but it is true! As the moon wanes towards this weekend I am hoping to capture one a night and bring them all together in one long clip. Last night was the second night in a row where I spent an hour or so walking round the ranch looking for the perfect spot to show not only The Milkyway but to also include some interesting foreground feature. I was hoping to use one of the large wooden gates to frame the stars. Armed with my Canon 7D, intervalometer, tripod, stickytape, handwarmers, torch, matches, lighter, a red candle (“I love lamp) and a whole bunch of excitement I set off into the darkness. No moon means dark. The ranch I am staying on breeds horses, has bears (both black and grizzly), elk, deer and skunks wondering through all the time. So while trying not to use the torch so my night vision could kick in, I was also hoping not to bump into any unexpected wildlife. The horses make some very random, loud, un horse like noises when they are getting jiggy, or at least courting one another. So much so that several times that the loud growling sound bellowed down the valley I found myself frozen to the spot, wondering what a bear sounds like. It was soon followed by large thudding of hoofs and I regained my composure and continued my search for the perfect set up. The final product is in post now, but here are some of the test shots I took while on my expedition. Check back soon to see the final result. In the end, I got the set up I was after. This is one still from the timelapse. Light painting. Canon EOS 7D. 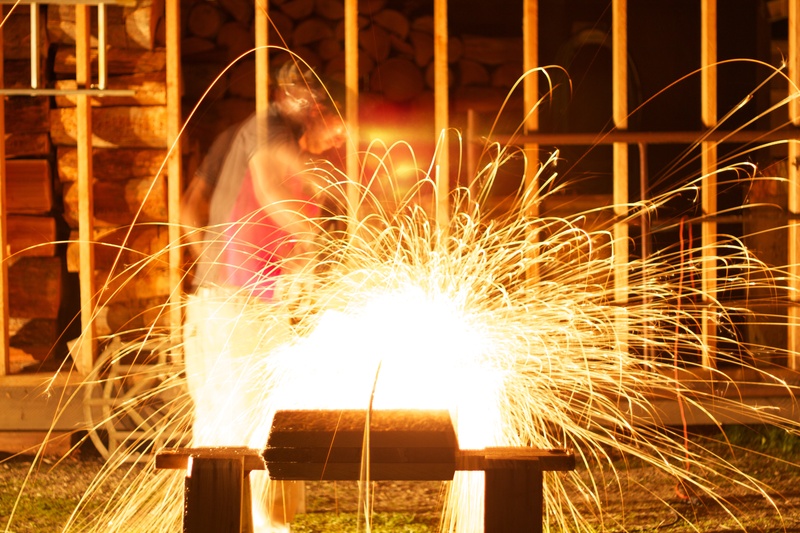 5 sec exposure. 400ISO. F1.8 on Canon 50mm. Have been playing around with long exposures and light sources at night. After helping out a friend cutting rebar I knew I had to have a go at using it during the night. Here are the results. Hoping to do some more soon with other light sources. Also some astro timelaspe are to come. Enter your email address to follow this blog and receive notifications of new posts by email. Go on, do it, it'll be rad...!